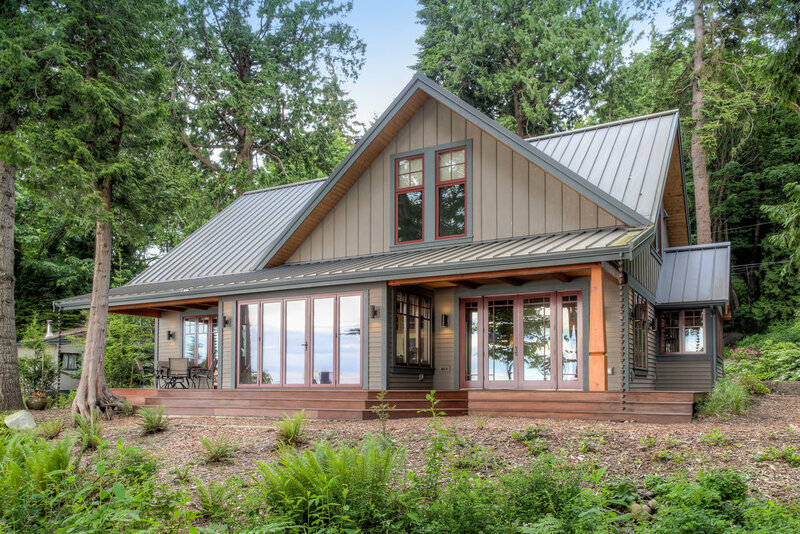 The goal of this project was to locate a comfortable home on a very narrow waterfront lot facing the Strait of Georgia with minimal site disturbance. 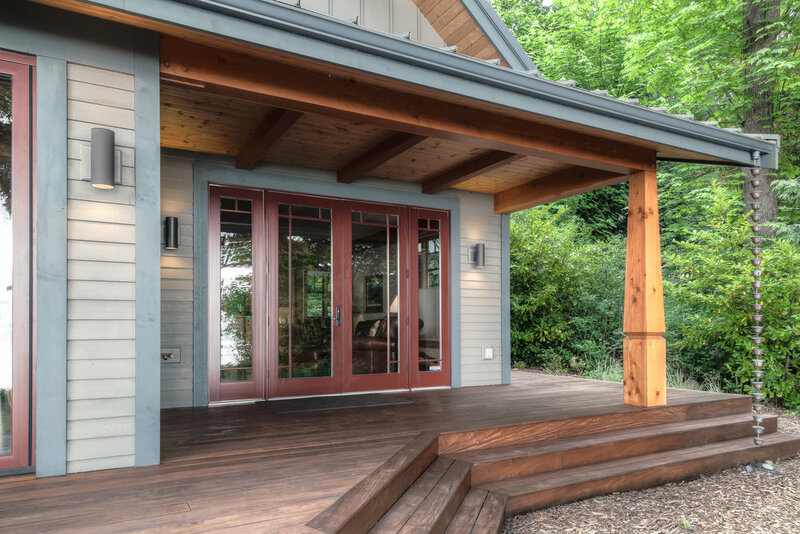 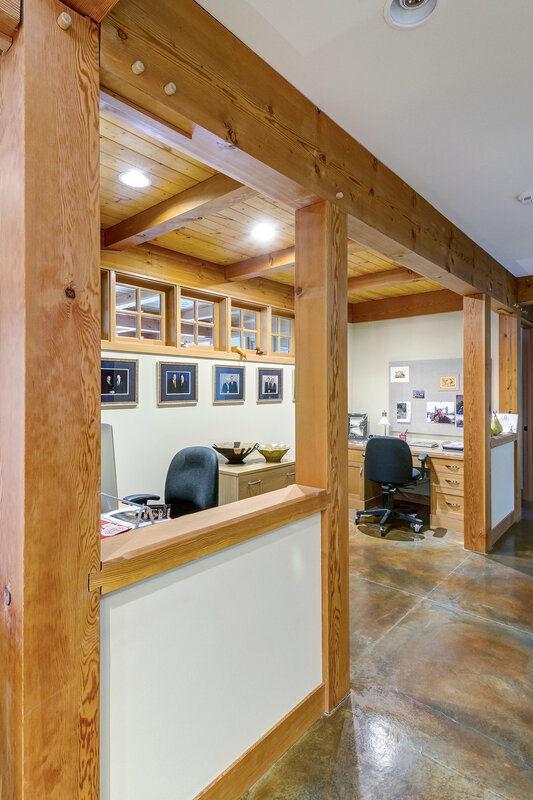 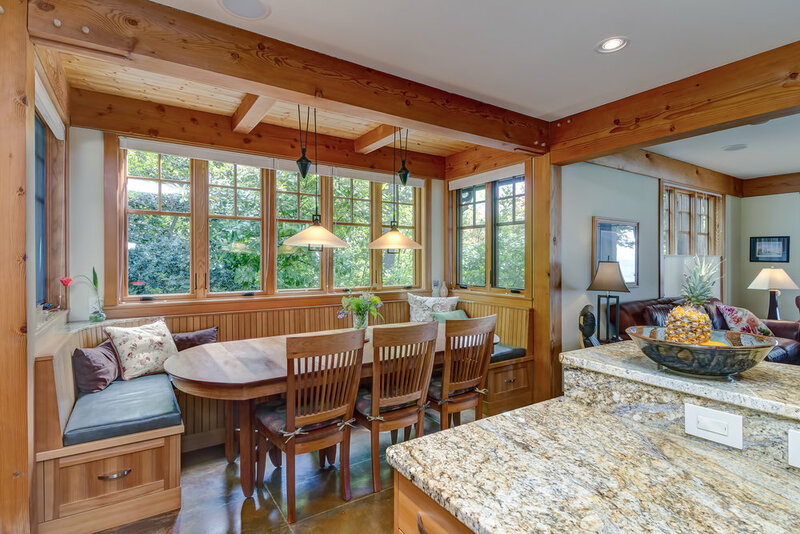 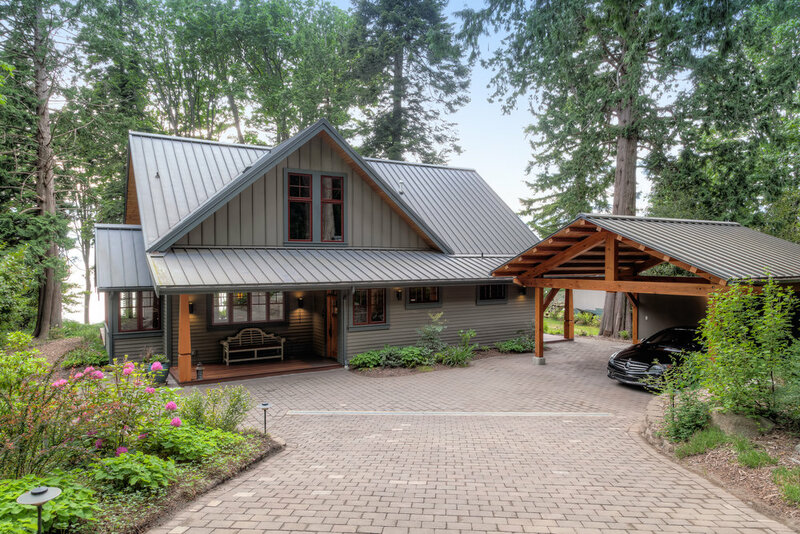 A timber frame carport and timber framing throughout the house sets the tone. 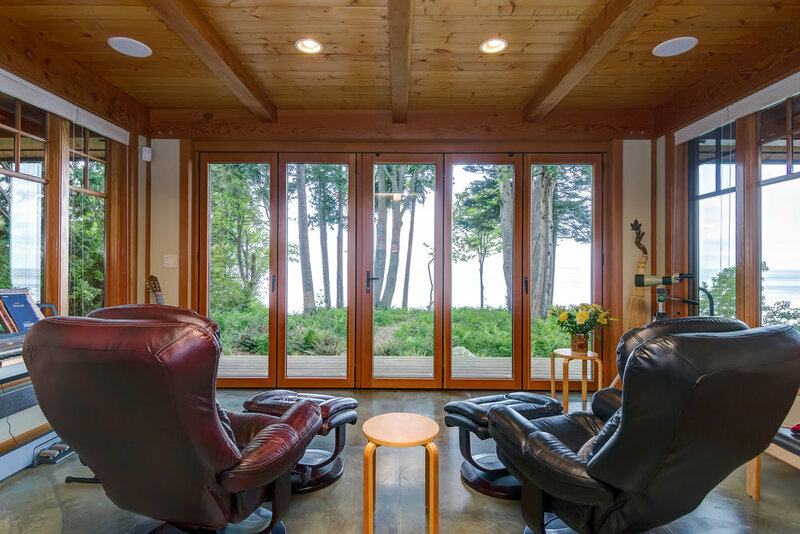 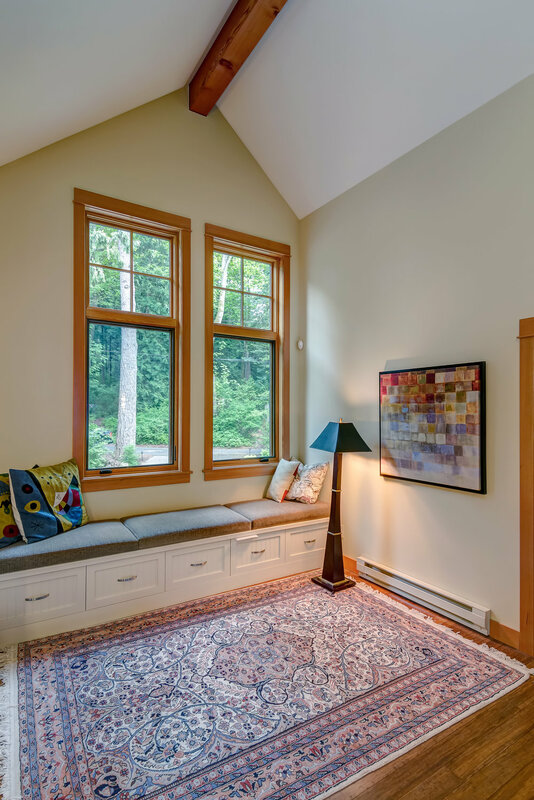 The plan features a comfortable office alcove for two, an inglenook dining area off of the kitchen, and an indoor/outdoor room with accordion doors to enjoy the view from in all kinds of weather.